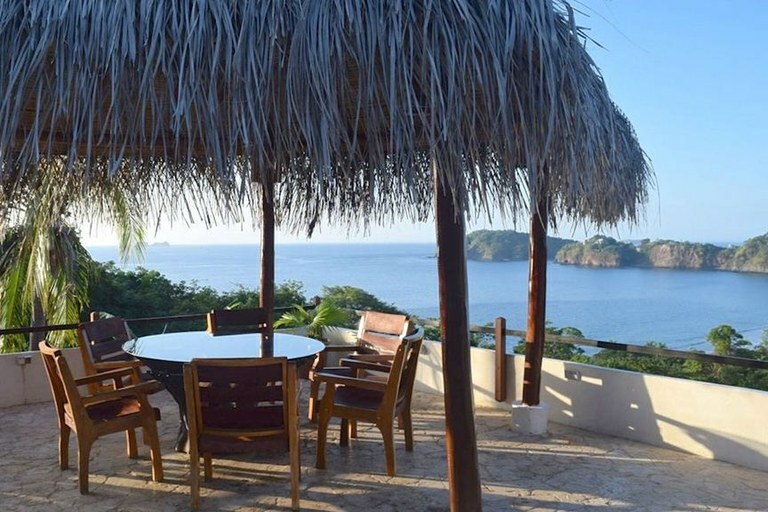 2 Bed, 2 Bath ocean view rental home overlooking Playa Flamingo. 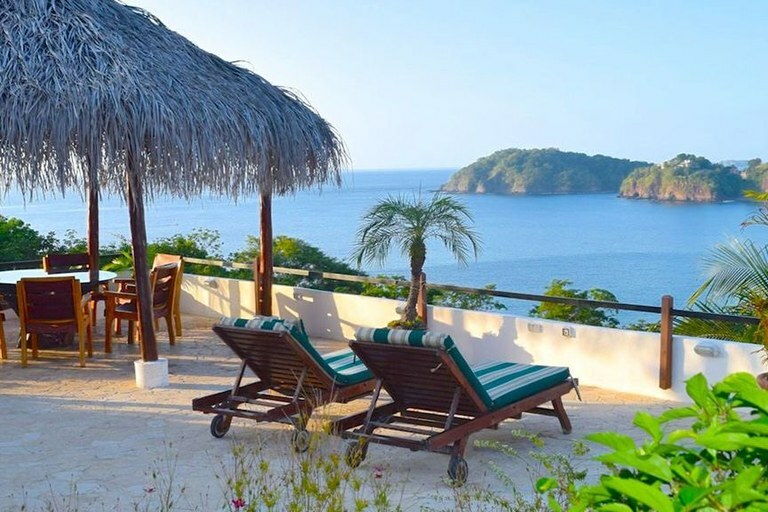 This Flamingo Cliffside Spanish-style villa combines spanish and tropical living at their best. This home is part of a 4 home compound estate that in total sleeps up to 16 people. 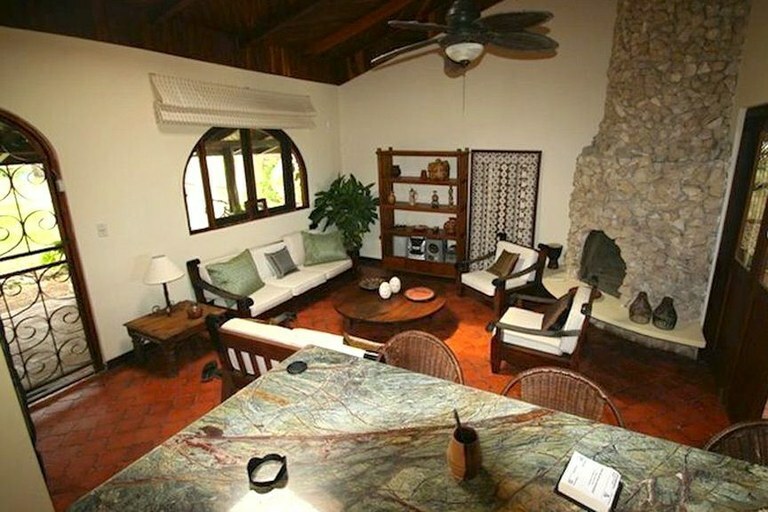 This house has all the modern amenities one expects with a tropical living design. The large deck has a rancho that offers shade all day long. The privacy of this home is amazing and you will feel like the Flamingo South Ridge is all your own. The Master Bath has a granite counter tops with a tropical shower, high ceilings and a skylight for natural lighting. The Master bedroom has high ceiling a sky light, and one can hear the ocean breaking on shore. With direct access to the outside screened porch area and the master bathroom to the other.